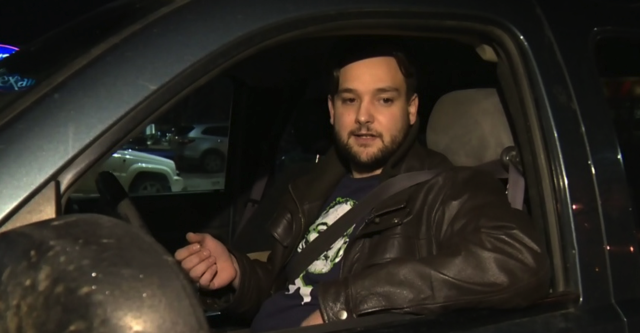 There are two sides to every story, and now Beaumont RCMP have cleared the air on the recent viral story of an Alberta man given a $287 distracted driving ticket at a Tim Hortons drive-thru. A.J. Daoust, a carpenter, was handed the distracted driving ticket last week which he called “heavy-handed” and “ridiculous” at the time. Daoust was seen texting with both hands, while using his knees to steer when moving forward, in the drive-thru. Other drivers in the line up looked back at the officer, throwing their hands up to say “‘Don’t you see this? Why aren’t you doing something?’” That’s when the officer headed to Daoust’s vehicle. Alberta laws prohibit drivers from using handheld devices while driving, and applies to any road, whether on public or private property.